The healthcare industry is constantly evolving; from its operational policies to patient care activities, and everything in-between. These recent technological developments in the healthcare industry are giving rise to the concept of telemedicine and telehealth. 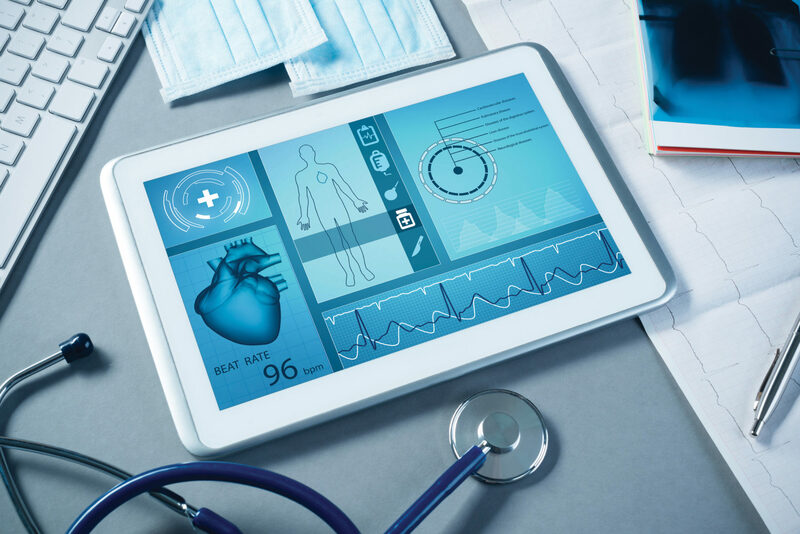 Telehealth and telemedicine encompass a broad variety of embedded technologies and applications to perform diagnostics, healthcare monitoring and delivery of virtual medicine and healthcare services from a distance. For example, an embedded telehealth device monitors patient’s heartbeats by seeing color changes in the fingertips or monitoring skin abnormalities. As these embedded medical technologies become more common, medical device development companies see an exponential increase in the demand for an even a broader range of embedded applications within the healthcare industry. This may revolutionize the way medical practice is carried out with the use of medical imaging, 360-degree camera, video conferencing solution, and Human Machine Interface. Considering this increase in embedded medical technology, the market for smart medical devices is expected to grow dramatically in the next few years, reaching $24.46 Billion by 2025, according to the Grand View Research. By that same year, monitoring devices based on embedded vision are expected to comprise nearly a one-third of this market value. Patient safety and the convenience of quick detection of diseases, diagnosis, and treatment have helped in the quick adoption of these technologies. Let us take a deep dive into how embedded medical devices can help overcome common challenges of the healthcare industry. Committing errors in the administration of drugs to patients is persistent and concerning cause for healthcare facilities, resulting in patient harm. This creates a particular need for more sophisticated approaches to the maintenance of patient safety. A Human Machine Interface application can be programmed to monitor, control, and administer the patient’s drug schedules and dosages. An HMI system is also capable of encompassing all the crucial elements into a virtual interaction. It is also being used in various medical applications like patient monitoring systems, diabetes monitoring equipment, cardiac defibrillators, surgical equipment, staff communication devices, ambulance switch panel, industrial touch-screen monitor, etc. Many times doctors and surgeons face challenges in obtaining real-time patient information and reports for treatment and diagnosis. Real-time reporting and remote monitoring require real-time video and high-quality images of the diagnosis. This can only be achieved with network interfaces that are reliable, easily configurable, and low in maintenance. Moreover, in some cases, doctors prefer precision surgeries performed by robots. This allows them to perform many types of complex procedures with more precision, flexibility, and control compared to conventional techniques. On top of that, various medical institutes use 360-degree cameras to provide a live streaming of the surgeries to students through their virtual reality (VR) headset to prevent mishap in future surgeries. Furthermore, medical imaging techniques, which specialize in using AI and machine vision to diagnose cancer and prescribe treatment, can help oncologists to make quicker, more accurate diagnosis for patients. Also, the wireless capabilities added to these devices can improve the ability of patients and physicians to monitor and control their conditions remotely. Embedded medical devices like blood pressure cuffs and glucose meters with wireless tracking and transmission capabilities help both, patients and physicians in monitoring health. In addition, these devices not only diagnose diseases or infection but also will eventually be able to identify the cause and its antibiotic susceptibility. Remote healthcare monitoring and diagnostic solutions can increase public access to healthcare and potentially reduce healthcare costs. New diagnostic developments can offer earlier and better diagnosis while digitizing the medical information, which allows doctors to access data for faster treatment of patients regardless of their location. Apart from the ones listed above, devices like voice-activated assistants are ideal for day-to-day tasks such as patient information gathering, providing an initial diagnosis, etc. In addition to this, a 360-degree camera can be used in medical imaging for high performance, low power consumption, and Android OS. Embedded medical devices can transform the healthcare services, however, the success of the medical device implementation depends on how diligently the device has been developed. It is important to ensure that the device meets the functional and regulatory compliance needs over and above being cost-effective. In other words, the key to transforming healthcare operations digitally lies in developing the right medical device. Chipsets have become smaller and even more powerful, thanks to technological advancements. Developing a medical device requires the mindset of rapid prototyping, failing early, and iterating quickly. Without impacting the cost structure, it becomes important to select the right hardware and software. This is where Qualcomm® Snapdragon™ 624 based on APQ8053 comes into the picture, which provides a combination of market-leading hardware, firmware, and software features. Developers choose Qualcomm to test customer requests quickly with Snapdragon. The API and SDK are available now to all developers, whether they work with the hardware manufacturers, with software vendors or on their own. Qualcomm Snapdragon 624 chip boosts medical imaging application performance with its 64-bit, Arm-based Octa-core CPU featuring Adreno™ GPU, as well as robust Wi-Fi and Bluetooth connectivity, which is helpful in low power consumption. High-end products can take advantage of the programmable Adreno 506 to perform imaging computation and run differentiating features. SD624 can also be used in applications involving machine vision, video conferencing, remote monitoring, etc. All in all, targeted at mid-range and budget devices, Qualcomm Snapdragon 624 promises better performance, impressive graphics, and video capabilities for AI/HMI/machine vision/video conferencing applications for the healthcare industry. eInfochips, an Arrow company has a broad experience in developing FDA Class-II / Class-III devices for healthcare applications, for instance, monitoring, diagnostics & imaging, telemedicine, and wearable health. Being a Qualcomm Licensee and Snapdragon Technology Partner, we offer off-the-shelf SoMs, Development Kits, SBCs, and accessories based on Qualcomm Snapdragon processors. We do have Eragon 624 SoM-based on Qualcomm® Snapdragon™ 624. Our team has designed medical products from concept and architectural phase to prototyping, field trials, certification, and sustenance engineering. Know more about our medical device solutions.